If there's one Olympian you need to know about at the 2016 Summer Games, it's Zahra Nemati. Nemati currently holds a unique and history-making position in the world of the Olympics: She is the only Iranian woman to have an Olympic gold medal, as well as one of the few athletes to compete in both the Paralympics and Olympics. She won her gold medal at the 2012 Summer Olympics in London, qualifying as a Paralympic competitor — and now, in Rio, she will once again be taking the archery stage. But it's not only Nemati's athletic prowess that is inspiring, it's also the amount of strength that she derives from archery that shines through. A lifelong athlete and self-described tomboy, Nemati — in an interview with WOWOW — likened her paralysis after a life-changing car accident to when a "pianist loses his arms." But she persevered, discovering archery, and in it, a renewed strength. It's this strength that can be attributed to Nemati's success on the Paralympic and (the upcoming) Olympic stages. While Nemati will be busy conquering every possible Paralympic and Olympic arena — an amazing and uncommon feat in itself — we should also celebrate her role in the Rio Opening Ceremony. Nemati was also the flag-bearer for Iran, making her part of an small group of women in the history of Iran's Olympic participation to do so. Before her, Olympians Lida Fariman (1996 Summer Olympics and the first Iranian woman to compete at the Olympics), Homa Hosseini (2008 Summer Olympics) and Marjan Kalhor (2010 Winter Olympics) all carried the flag for Iran. Nemati is an inspiring athlete, a fact she herself recognizes. 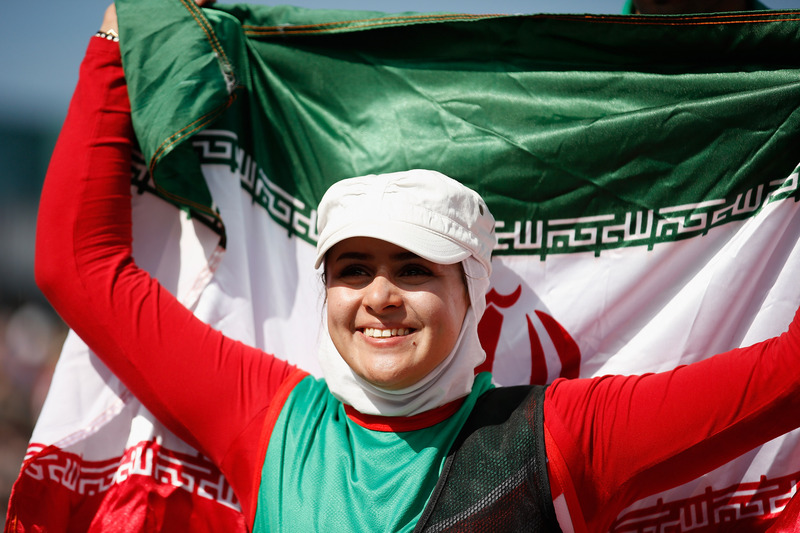 In an interview for the Tehran Times, she noted that “[t]he abled archers are stronger than disabled people and to win a gold medal will be difficult. So, I know I can make a huge impact on others as a disabled athlete and this is a great victory for me." A trailblazer in her own right, Nemati using her voice and visibility to showcase why the Olympics are such a special time. While the world comes together to celebrate athleticism and national pride, it's athletes like Nemati who make the games all the more special.